Please help me read these two handwritten seals. The first mark is "Ken" 乾 stylistic written. This character "Ken" in Japanese is the 1st character of the name "Kenryu" 乾隆, Japanese for the Chinese emperor Qianlong. Ken marks were in use during the late Edo Period from circa 1790 till circa 1900 in different styles. I'm sorry, but I can't figure out the right character on the last picture, the left character is "Zan" or "Yama" 山. Thank you indeed. 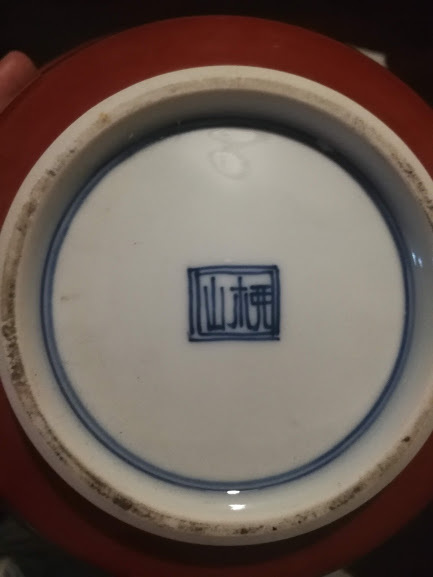 It is a rare skill to be able to read those kanji seals.Would you say the colour/style is period correct? I don't think the "Ken" marked dish is genuine. 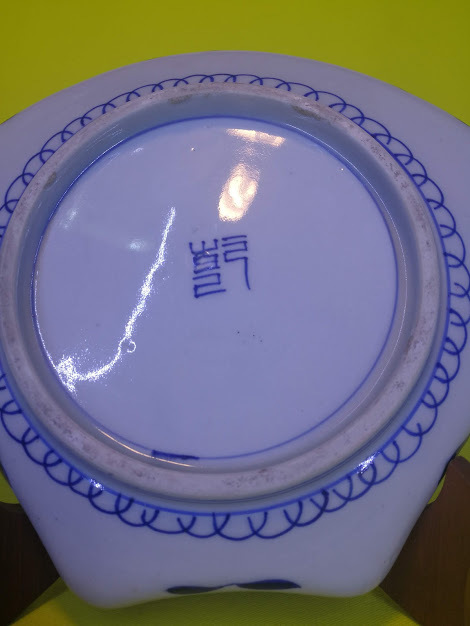 The surface of the dish looks rather new and the blue color and painted crackle decoration is not typical of dishes with a "Ken" mark. 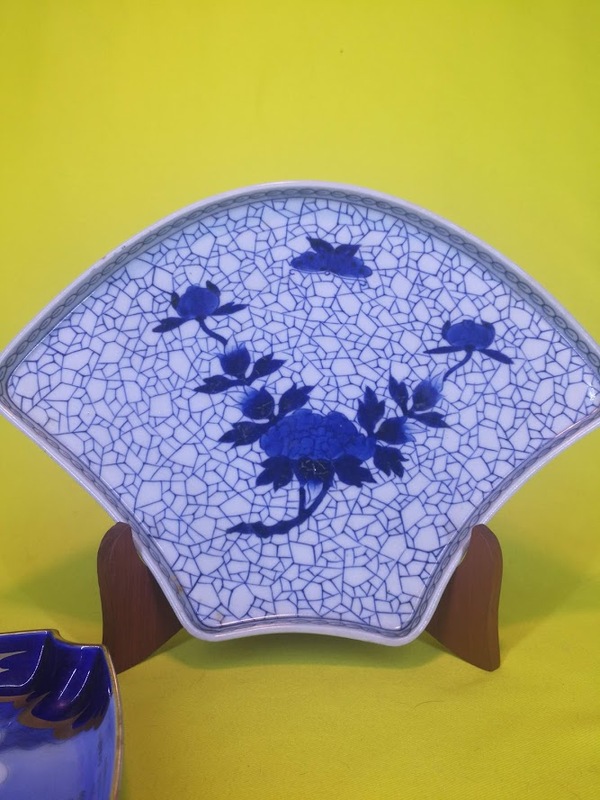 "Ken" marks are on Arita Imari porcelain dishes as well as Arita blue-and-white porcelain dishes, with rather traditional decorations. Never seen one with this painted crackle decoration. So in my opinion it's an imitation from the 2nd part of the 20th C.
Thank you for very informative reply. It is very fascinating to learn about it and hunt for an authentic one out there. Hope I one day find a piece worth being proud of.